Ooma offers outstanding VoIP home phone service. Our customers regularly tell us how much value they get from their Ooma phone and how much they appreciate its advanced features and reliable service. With so many different VoIP home phone services to choose from, we understand that deciding isn’t easy. That’s why we wanted to round up the ways that Ooma VoIP phone service excels. When comparing Ooma to other telephone options, be it cellular, landline, or other VoIP services, you’ll find that these five telephone features make Ooma stand out. Ooma is widely recognized for the high quality of its telephone audio. How do we stand above the rest? It’s a combination of our PureVoice Technology and HD Voice technologies. PureVoice Technology is Ooma’s multifaceted approach to providing phone service with extremely high call quality. We use advanced voice compression to reduce a phone calls bandwidth consumption by 60%. We use adaptive redundancy to intelligently detect audio information that was lost in transit, and fill in the blanks so that your call will not lose clarity. Plus our wire-speed quality of service (QoS) feature works with your specific Internet connection to make sure that your phone calls are prioritized within your bandwidth without slowing down your network. While HD Voice does require the use of an HD-capable phone, this feature is the ultimate in high quality audio. In fact, Ooma’s audio transmission technology is so advanced that it captures twice the acoustic information as a traditional phone. When choosing phone service, it’s easy to overlook 911 service as a deciding factor. But in an emergency, time is critical. Although Ooma can’t get the ambulance to your house any faster, we can help you streamline how you communicate with emergency services. After logging your physical address in our system, your 911 calls will be routed to your local dispatcher instead of the national call center other services use. Additionally, your address will be automatically transmitted to emergency services, saving time when you need it and communicating your address even if you’re unable to speak. Plus, our integrated 911 Alerts system can be set up to automatically send you a text message if a 911 call is placed. An emergency is not the time when you want to be out of the loop of what’s happening, and 911 alerts can help. Ultimate Low Cost Phone Service — Free! Does “free” sound like an affordable price? After purchasing the Ooma Telo device, you can make free calls within the U.S. under our Basic Service plan. There’s no charge for phone calls, and you’ll just pay the taxes and fees that we are required to charge. With free phone calls, Ooma’s Basic Service really is the ultimate low cost option. And it’s not the bare-bones phone service that you might imagine. Basic customers have Ooma’s high quality audio with PureVoice Technology, there’s remote voicemail access, and it even works with Amazon Echo. Plus, Basic Customers can access Ooma’s affordable international dialing plans that cost just pennies per minute. Plus, Basic Customers can use Ooma’s free calling app to make unlimited calls. On top of that, customers can access Ooma’s affordable international dialing plans that cost just pennies per minute. Use the service when you’re home in the U.S., or take your international phone service with you when you’re travelling abroad. By using the free calling app when you’re overseas, your calls will still use your Ooma phone number, making it look as though it’s coming from your home in the U.S. Just connect to WiFi to avoid international data charges from the call’s internet traffic. For customers who want more out of their VoIP home phone, consider what Ooma Premier Service offers. With a full set of advanced calling features, Premier customers get expanded call blocking to reduce spam calls, Instant Second Line to make and receive a second call while your phone is in use, voicemail-to-email audio forwarding, three way conferencing, and much, much more. Premier customers can access these additional features for the low rate of $9.99 per month. Now that’s affordable indeed! 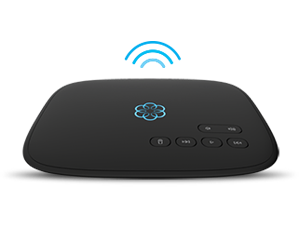 Ooma’s VoIP home phone is like a hybrid between your landline and your mobile phone. Not only do you have the features of a landline, but you can access your Ooma phone service with Ooma’s free calling app. This means that you can use your cellphone to access Ooma’s unlimited minutes instead of paying your cellular provider for mobile minutes. Premier customers can use the Ooma mobile app to make and receive calls anywhere in the U.S. at no extra charge. Basic customers still have access to the mobile app, but their mobile functionality is limited to incoming calls. 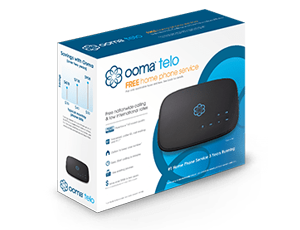 Learn more more about how you can use the Ooma Telo for your VoIP home phone.